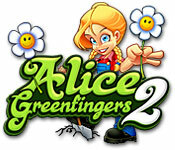 Alice Greenfingers 2 is rated 4.2 out of 5 by 21. Rated 5 out of 5 by ethankline from Awesome Game Great game to play if you're looking for something fun to do! Rated 5 out of 5 by baihaki from fun adventure game I very happy in this game.The game very best for me.i can't sleep for the game. 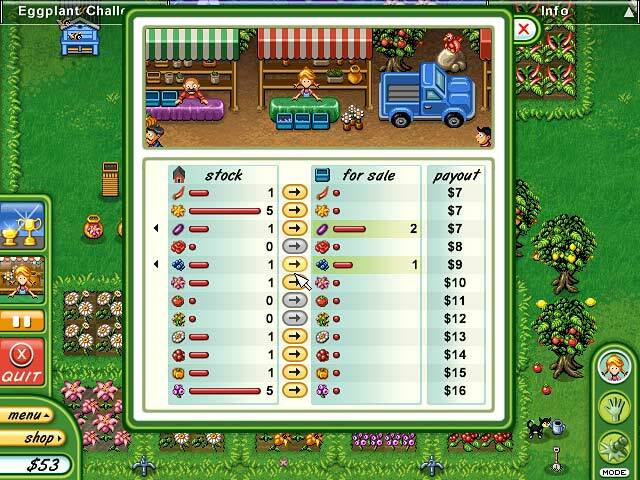 Rated 5 out of 5 by ElNirmalSitaldin from Alice Greenfingers returns :) This is a very fun game, especially if you need to relax, you just go to your farm and flex your green thumb! The sequel has more features and better graphics than Alice Greenfingers. 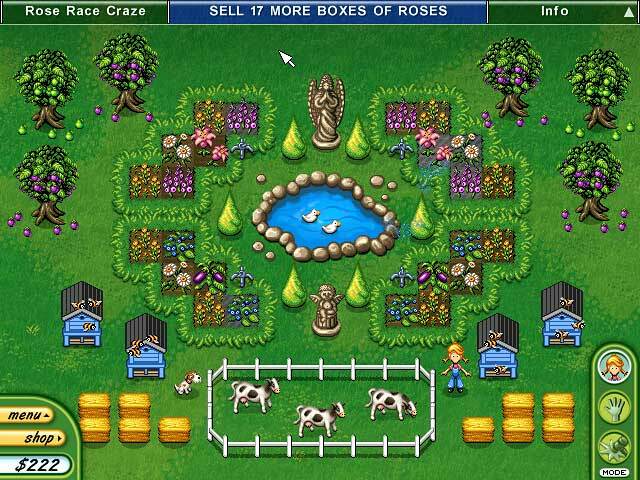 Grow crops, take care of animals, make money, improve your farm and... take al the time you need! You never 'die' in the game or have to restart. Play the game at your own peace :) Very cute, fun and relaxing game. Rated 5 out of 5 by nickyd_81 from Even better than the first! I loved the first game and this one did not disappoint! Kept the same gameplay but updated it to make it even more fun. Rated 5 out of 5 by gmcdaniel from Wow! They did it again! I loved the first one, but number 2 is better by far. Rated 5 out of 5 by Oedesh from Fun Farm Game!!! I loved this game since I started playing it! 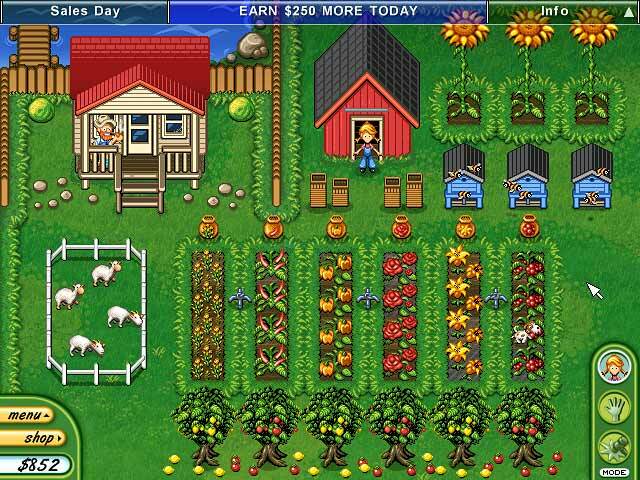 You can grow your own fruits and vegetables, buy animals, sell crop and much more!!! And best part is you can't die in this game! So buy it and have fun! Rated 5 out of 5 by xandrakittiluv from Simple & Fun Alice Greenfingers 2 is SUPER easy. I wish there was more of a challenge , but it's so fun ... challenge doesn't matter in this case. I think this enhanced version is WAY more fun than the original version. I like how you not only repeat the cycle of planting , but you can also do chores like picking apples and other activities from Alice's uncle. Rated 5 out of 5 by meepiambored from Alice Greenfingers 2 is fun The visual qualities are better than the previous game. The upgrades are useful, but would be better if you can get more than one. You can play as long as you want for day in the game, until you finished the day's goal. It's fun and addicting, and the sprinklers are useful in the game later on. I did like there were more things, like a beehive, fruit trees, and more different plants.